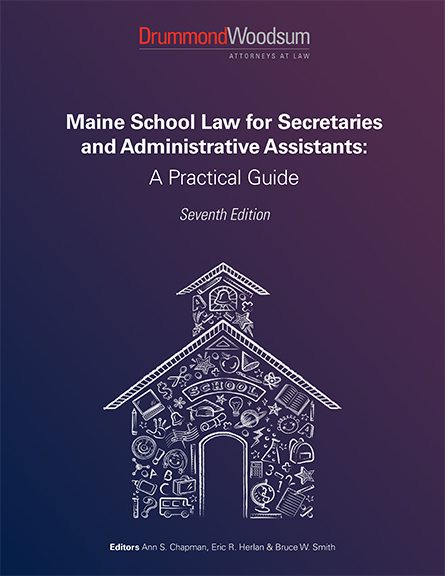 The latest update of Maine School Law, the essential resource for every school administrator, is now available! The sixth edition of this comprehensive book has been updated to cover all legal areas that administrators need to know on a daily basis. 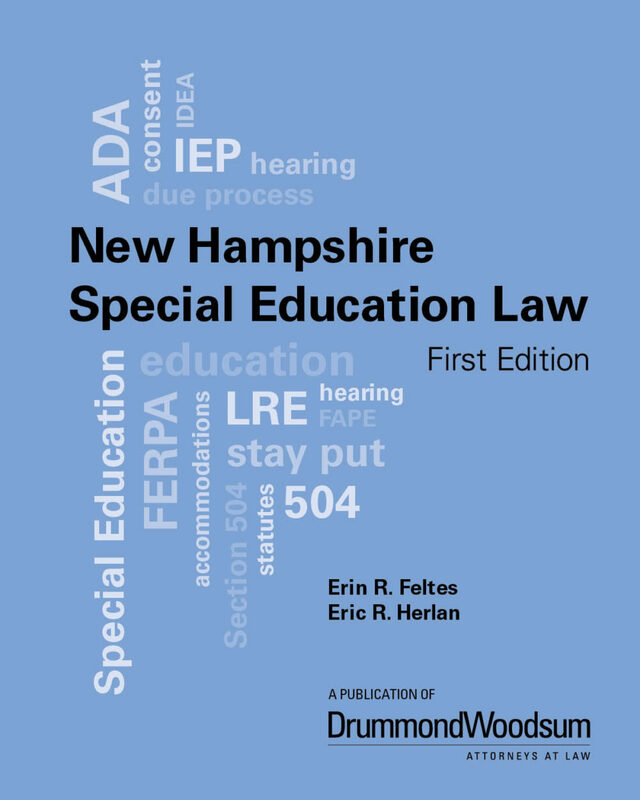 For the first time, everything you ever needed to know about special education law for the State of New Hampshire is here in one place. 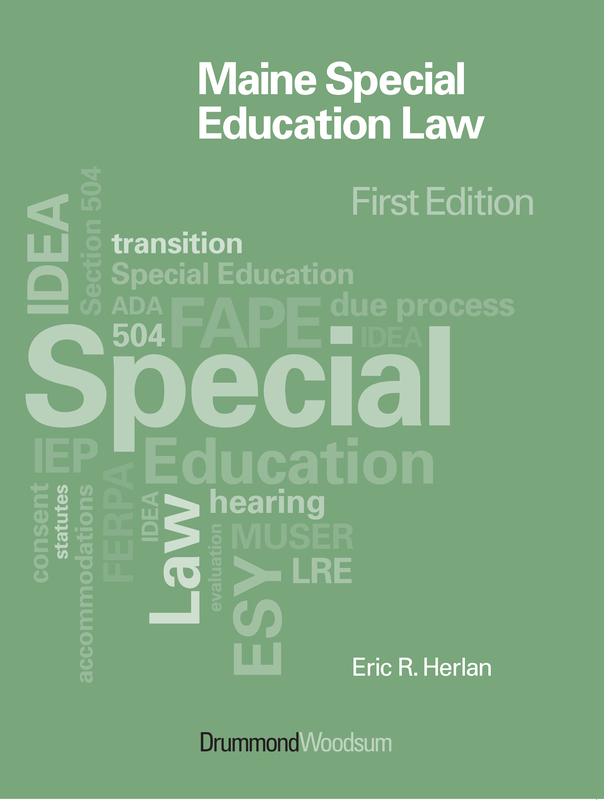 This book should truly be on the shelf of every practitioner who has anything to do with special education in New Hampshire. Here, Feltes and Herlan address all the ins and outs of this complicated area of law. Administrators and teachers alike will want this valuable resource at their fingertips. 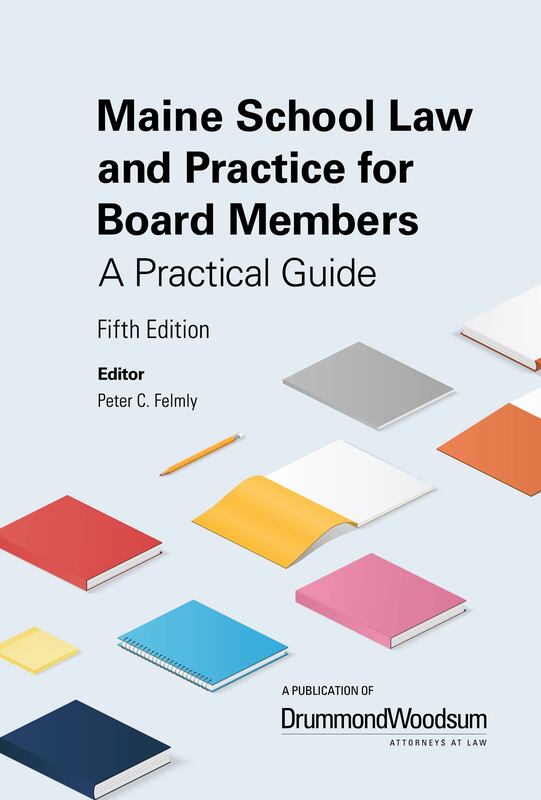 Newly updated and expanded, this easy-to-read manual is written specifically for board members and is designed to provide them with practical and essential information relating to the laws governing Maine schools. All chapters have been updated to reflect recent changes in the law, and the extensive charts in the Appendix have been updated as well. The updated appendices include selected statutes, a list of collective bargaining topics, a list of records that are confidential under state law, and a list of subjects that may be discussed in executive session. 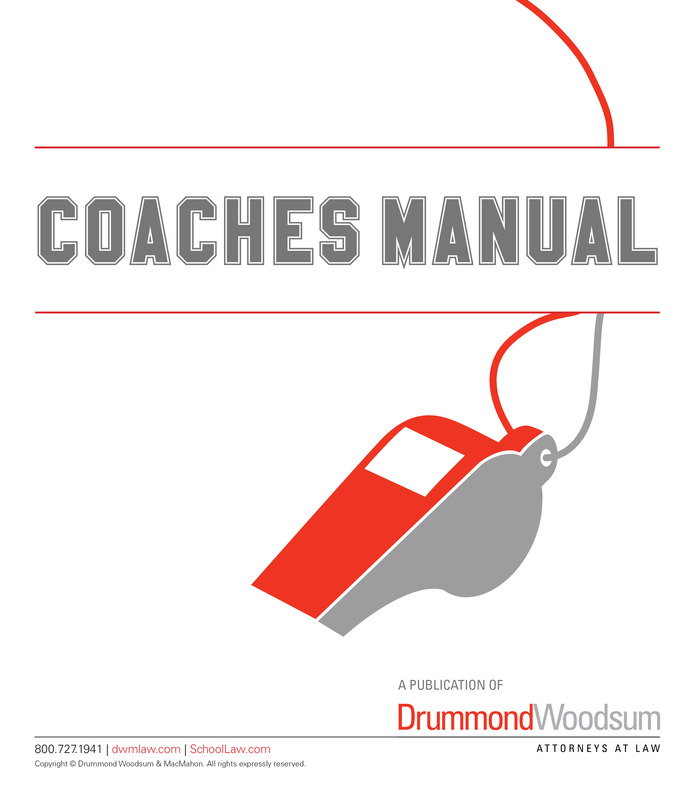 We know that coaches and athletic directors hold positions of great trust. They work with student-athletes on the playing field and serve as role models to young people. They ensure that students get to their activities safely, and may be the first to respond when students get hurt on the field or when a student claims that he or she has been hazed or harassed. They manage student (and parent) expectations, and may wrestle with sensitive issues that can arise when dealing with booster groups. Stop worrying about 504! The definitive soup-to-nuts 504 Management System that answers all your questions and provides all the updated forms you need! 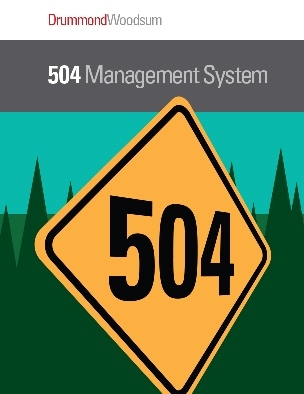 Have you revised your 504 system to meet all the new ADA/504 requirements? This valuable tool provides everything you need in one package. Be ready for any 504 request, hearing, or even a visit from the Office for Civil Rights. Why piece together a 504 system yourself, when it's all here in this manual? An incredible value! 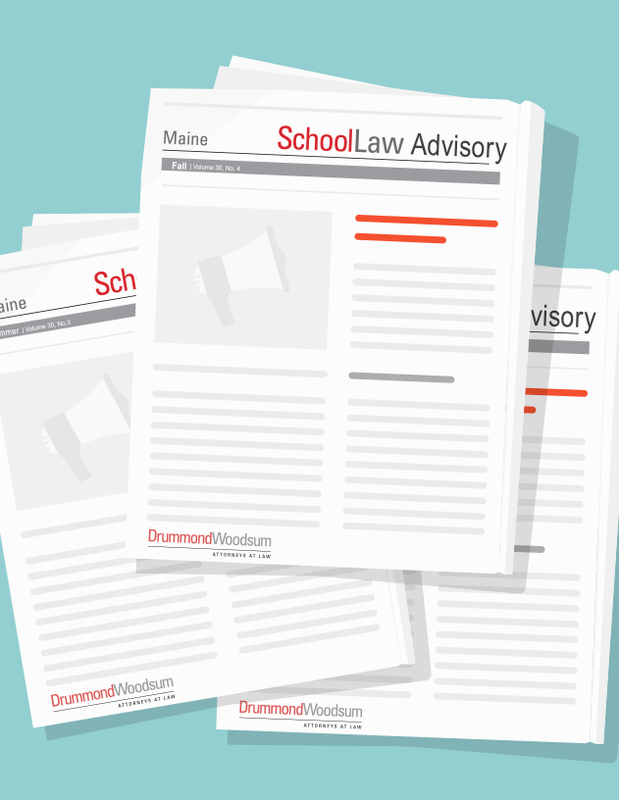 The School Law Advisory is the only Maine publication of its kind dedicated to important timely school law issues! Subscribers have access to the current issue, all back issues, and the ability to search the extensive archive of hundreds of past articles, which can be downloaded and printed. When each new issue is published quarterly, subscribers receive an email notice with a link to download. The School Law Advisory is the only New Hampshire publication of its kind dedicated to important timely school law issues! Subscribers have access to the current issue, all back issues, and the ability to search the extensive archive of hundreds of past articles, which can be downloaded and printed. When each new issue is published quarterly, subscribers receive an email notice with a link to download. 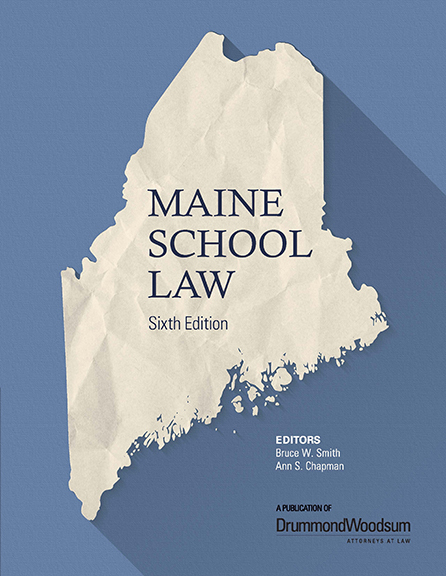 This book is a companion to Maine School Law, Sixth Edition. The chapters in both books address subjects in the same order. 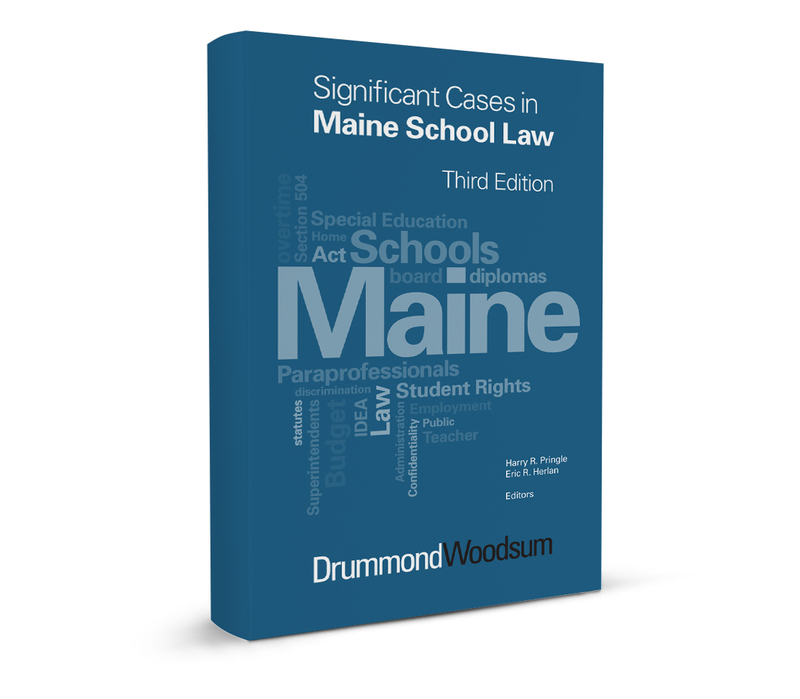 For example, Chapter 1 in each book is about the legal framework of Maine school law, Chapter 2 deals with student rights, and so forth.